You’ve dreamt of having your own orchard, plucking fresh, ripe fruit directly from your own property. The dream is about to become a reality, but a few lingering questions remain. First and foremost, how far apart do you plant fruit trees? Proper spacing for fruit trees is of paramount importance, allowing them to attain their maximum potential and giving you easy access when harvesting. 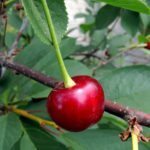 The following article discusses space requirements for fruit trees. Fruit tree spacing for your backyard orchard is different than that for a commercial grower. Spacing for fruit trees is determined by the type of tree, soil quality, expected tree height and canopy for the mature tree and any dwarfing characteristics of the rootstock. 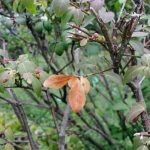 Giving your fruit trees some distance may mean the difference between crowding them out, thus shading each other, which results in a low fruit set. There is a fine line, however. 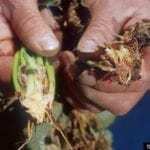 If you plant them too far apart, pollination may be impacted. Trees must be spaced so that they get plenty of sun and allow for air circulation to prevent fungal issues. If you have robust soil, a little extra spacing should be given since the tree will grow out wider. There are three sizes of trees: standard, semi-dwarf, and dwarf. Standard is the largest tree size, semi-dwarf is of medium height and dwarf is the smallest size. Standard fruit trees grow at maturity up to 18-25 feet tall/wide, unless they are standard sized peach and nectarine trees, which grow to about 12-15 feet. 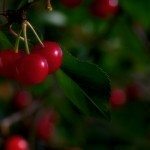 Semi-dwarf sized fruit trees reach 12-15 feet in height and width with the exception of sweet cherries, which will get a little larger at 15-18 feet tall/wide. Dwarf fruit trees grow to about 8-10 feet tall/wide. Standard sized trees grown from seed need more space than if they are made by grafting onto a dwarf or semi-dwarf. 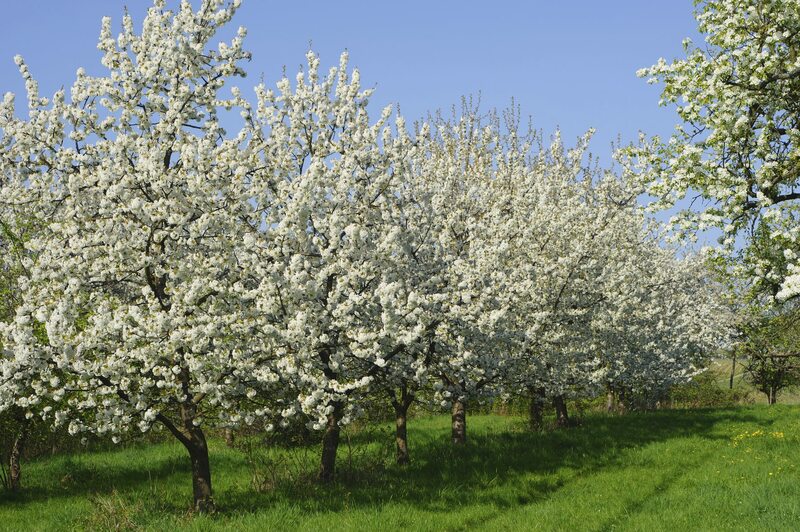 Fruit tree spacing can be as close as 2-3 feet apart for a hedgerow. If multi-planting, plant similar rootstocks together and trees with like spray requirements together. How Far Apart Do You Plant Fruit Trees? The following are some of the basic space requirements for fruit trees. Standard apple trees need 30-35 feet between trees, while semi-dwarf apples require 15 feet and dwarf apples need only 10 feet. Peach trees should be spaced 20 feet apart. Standard pear trees need about 20 feet and semi-dwarf pears about 15 feet between trees. Plum trees should be spaced 15 feet apart and apricots20 feet apart. Sweet cherries need quite a bit of room and should be space about 30 feet apart while sour cherries need a little less room, about 20 feet between trees. Citrus trees need about 8 feet between them and figs should be planted in a sunny area 20-30 feet apart. Again, the distance between plantings depends on a variety of factors and these spacing requirements should be used as a guide only. Your local nursery or extension office can also help you towards your goal of a backyard orchard planted perfectly.